1. Prime your eyes. Why we prime the eyes is because we wanted to enhance the color of the eyeshadows and to make it last longer. 2. Apply the lightest eyeshadow shade from the palette on your entire upper eyelid extending to the crease area. 3. Apply the fuschia pink eyeshadow shade on the lower medium lid. 4. Apply the light pink eyeshadow shade on the upper medium lid. Blend! 5. Apply a black eyeliner as close to your lash line as possible. Wing it by following the direction of your bottom lash line that angles up. 6. Apply the plum eyeshadow shade from the middle section of your upper and lower lash line moving your way out. 7. Apply the lightest eyeshadow shade to the inner corner of your eyes and under your eyebrows as well. Now it's time to transform the look to a sultry eye makeup look. 1. 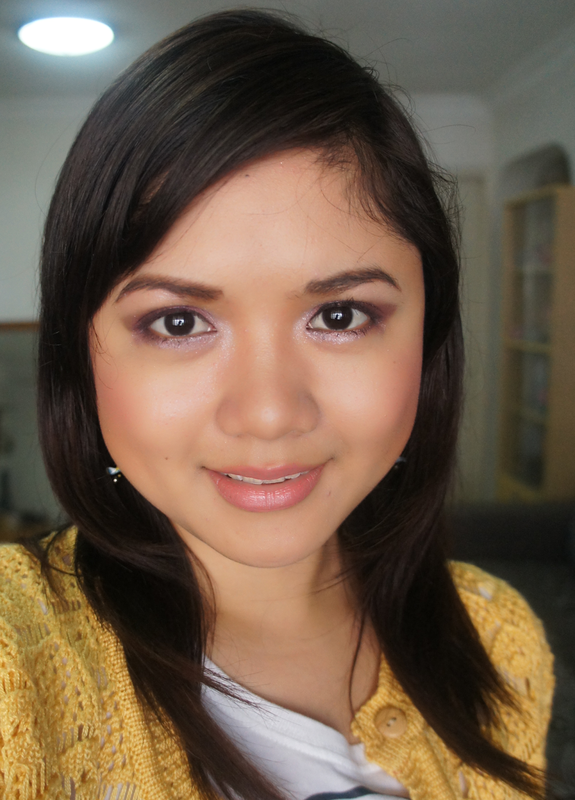 Apply the plum eyeshadow shade on the outer corners of your eyes. Think of it like drawing a side 'V' and make your way out. 2. Mix the fuschia pink and the plum eyeshadow shade and apply it on the outer corners of your upper eyes. And don't forget to blend. It's that simple! And now you're done. Check out my youtube video for this tutorial. Try it for yourself. Practice makes perfect. Sure.. :) followed you already..